I came across this tip in Delicious magazine and used it in a recipe recently too. 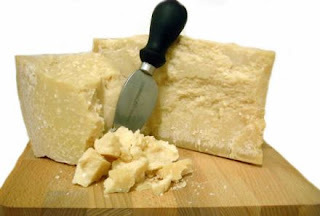 Freeze short lengths of Parmesan rind in well sealed bags and next time you make soup pop one in straight from the freezer stirring occasionally so the gooey rind doesn't stick to the base of the pan. I used it in a Butternut Squash soup which also had additional grated Parmesan in the recipe - really tasty!